GymFun believes that all children, regardless of ability, should be provided with an enjoyable, high quality, recreational gymnastics experience. We realise the importance of providing gymnastics provision which meets the individual needs of all our gymnasts. Regular GymFun classes achieve this for most gymnasts but we recognise that some of our gymnasts require classes with a more tailored structure or additional support to best meet their needs. The Inclusive GymFun programme offers two such classes ; semi-structured and child/gymnast led. 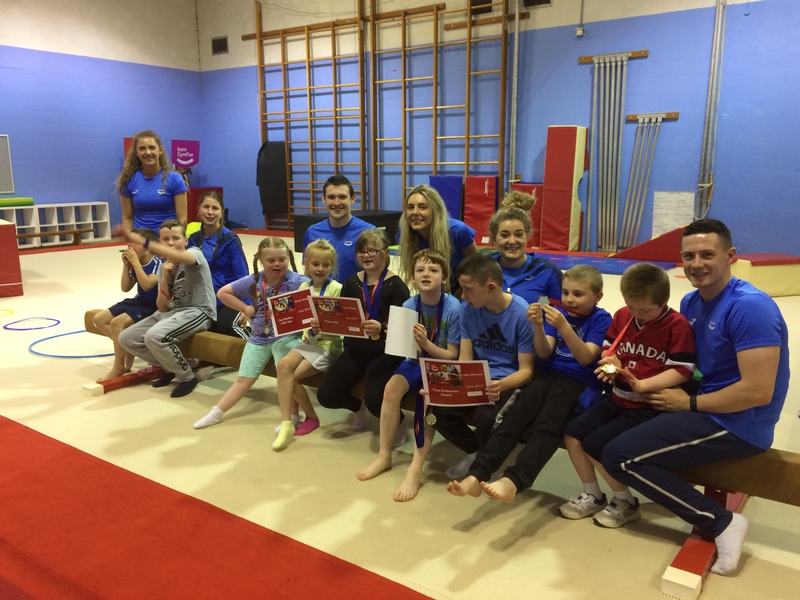 The development of the Inclusive GymFun programme has been led by Kelly Morrow. Kelly is a very experienced gymnastics coach and disability/special needs specialist teacher. Kelly graduated with a Postgraduate Certificate in Education within the area of Physical Education and a subsidiary course in Special Needs Education and Inclusion in 2012. After graduation she began teaching within a school for pupils who face severe challenges to learning, here she discovered a real vocation for this work and has spear headed this work in GymFun. 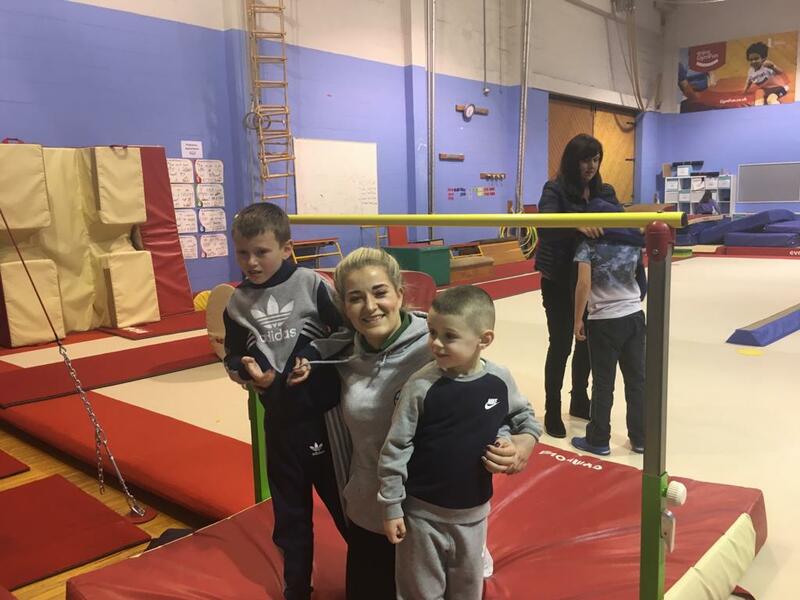 Kelly is also one of only a handful of British Gymnastics coach education tutors who teach the Disability Awareness Module to coaches from all over Northern Ireland. 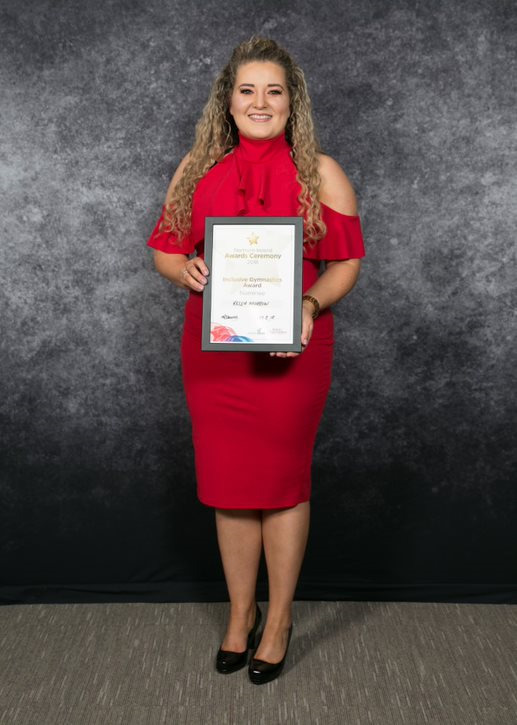 In 2018, Kelly was awarded the Inclusive Gymnastics Award at the Northern Ireland awards ceremony and she was runner up in Sport Northern Ireland Sport Maker 2018 Award. In 2018 GymFun was presented with British Gymnastics Foundation Level of the Equality Standard in Sport which recognises the CLub's commitment, position and policy relating to equality for all our membership. If you have a child who has specific needs, we hope that we can help you find the perfect class which will enable them to achieve their potential. See below the two classes that are currently on offer within the Inclusive GymFun programme. Complete our Join GymFun online form giving some details of your child's specific needs and we will be in touch. This class focuses upon giving gymnasts time to explore and adapt to the gym environment, before providing a clear gymnastics structure which will follow a similar content to Enjoy and Learn GymFun classes. The focus is on developing FUNdamental movement skills and confidence through a positive, supportive and FUN environment. In this class coaches adapt instructional styles to include visual strategies, a range of stimulus variation in a quiet, calm and relaxed setting. Opportunities for learning will be paced appropriately for each gymnast. This class has a high coaching ratio which enables coaches to support gymnasts throughout the session and the semi-structured nature of the class allows for flexibility and adaptations to be made as necessary. 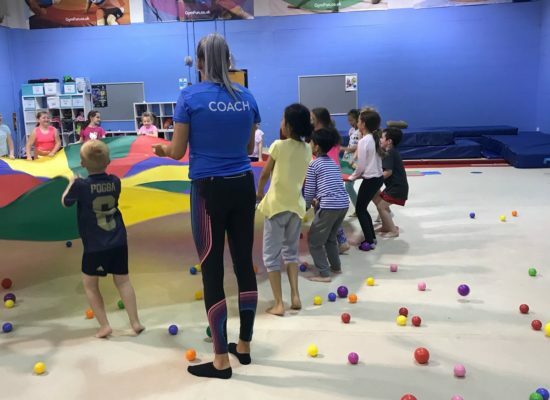 Within this class coaches bring the learning to the gymnasts whilst they explore the stimulating and sensory areas of the gym. Coaches select appropriate content similar to the semi-structured class. The focus is on developing FUNdamental movement skills and confidence through a positive, supportive and FUN environment. Instructional styles are adapted to individual needs, supporting understanding throughout each session. This class also has a very high coaching ratio which facilitates coaches to provide much more individual support to gymnasts and enables gymnasts to take the lead in their learning.